Install an Amazon Button in Your Home! It’s not a joke, The New Yorker assures us. “Many people assumed it was,” they wrote yesterday, “mostly because the announcement came the day before April Fool’s, but also because the idea seemed to poke fun at Amazon’s omnipresence, making it visibly manifest with little plastic one-click shopping buttons adhered to surfaces all over your home.” But yes, this really is happening. You can now install a little button in your home which will automatically order you products from Amazon. It’s free for Amazon Prime members, if you request an invitation from Amazon at that URL. The “Dash” buttons are even customized with the logos of products you might want to order (like Tide detergent or Bounty paper towels), according to a promotional video Amazon’s included on the page. “A simple way to re-order the important things you always run low on,” its friendly narrator explains, “so you’ll never run out.” And apparently you can set up the button to order any product that you want (using the Amazon app on your smartphone). Amazon always sends a confirmation to your phone, so you’ll have a chance to review your order after it’s been placed. And don’t worry — by default, the button is set up to place only one order (even if you press it more than once!) Amazon is reaching out to manufacturers now about how they can include Amazon’s magical button as part of their own marketing plans. And what’s really amazing is that after pushing the button, your order will sometimes arrive at your house in less than one hour! My biggest problem was that I thought the whole thing was a joke! Especially since for April Fool’s Day, the link-sharing site Reddit announced a button of their own. When you press this button, it resets a timer that’s counting down from 60 seconds. So far over half a million people have clicked on it, always resetting the timer before it reahes zero — so no one knows what will happen when its timer finally drops to zero. But if this were Amazon’s button, they all could’ve ordered a half million boxes of Tide! 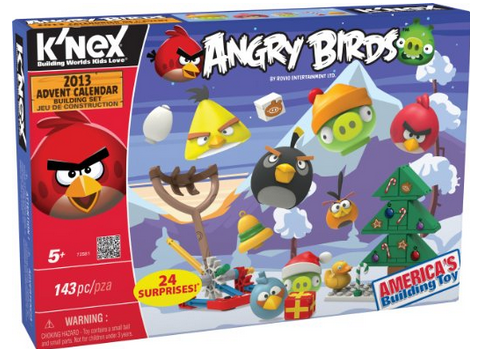 Amazon’s got more holiday deals today. A Kindle is now just $59, and their voice-activated “Fire TV” set-top box is just $79. And they’re also offering a $114 Fire HD7 — and a Fire Phone for just $229. But I have to admit that shopping on Amazon at times feels like a “guilty pleasure”. For example, on a rainy morning last week, I did what feels like a terrible thing. There was a wonderful book that was on sale at Barnes and Noble, and I’d wanted to buy it as a Christmas gift. But that morning I’d been planning to enjoy a warm, cozy morning in that bookstore’s Starbucks. So after I settled in with my hot tea, I’d fired up my laptop, went straight to Amazon’s web site, and found a copy of that book that was $5.00 cheaper. And then I ordered it from Amazon — while I was sitting in Barnes and Noble. For example, this morning Amazon announced that they’re discounting their “Fire TV” stick to just $79. That feels like a great price, and my girlfriend and I do enjoy watching Amazon’s shows with her “Apple TV” set-top box. But that’s been complicated to set up, since we first have to start Amazon’s app on her iPhone, and then get the phone to communicate with Apple’s box. I thought maybe my girlfriend would appreciate Amazon’s easier solution, since it’s already connected to all of Amazon’s Prime TV shows — and can also be activated using voice commands. But then I found even cheaper FIre TV sticks that were turning up for sale on Craigslist. There were even some eBay auctions selling Fire TV sticks which were brand new — and still sealed up in their original packaging — for less than $50. And if I didn’t want to wait for Craigslist, I could drive across town to pick up one today from somebody who lives in my community. Plus, I’d get to see another human face, hold the merchandise in my hands, and have an actual conversation about why they were selling it, when they’d bought it — and how they were enjoying their holiday season! Twitter and Amazon Create New Add-to-WishList Tweets! Now you can link your Twitter account to your Amazon wish list, and request those special gifts with just a hashtag! Whenever there’s an Amazon URL in a tweet, now just include #AmazonWishList in your reply — and Twitter and Amazon will make sure the item gets added to your wish list! And Amazon’s also added more functionality to their Wish Lists. With its new “Save-A-Photo” feature, you can now take a picture — of anything — and then save it to your Amazon Wish List. 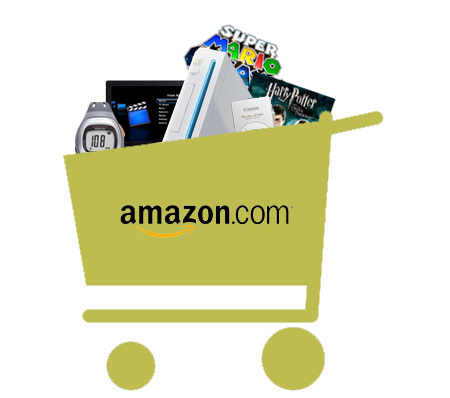 In fact, now your Amazon wish list can even include items that you found on other shopping sites. There’s a new easy browser add-on that’s making it possible, which Amazon is calling “the Universal Wish List”. But here’s my favorite feature: “Don’t Spoil My Surprises!” This lets you keep your Amazon wish list up-to-date for any friends who might shopping from it — but it won’t remove those items that were purchased when you’re looking at the list. That way, “every gift is truly a surprise,” Amazon explains in their press release. And you can even add a “Virtual Note” to your wish list, if you want to make general suggestions about what people should be buying you! “Last year, one in three Amazon customers worldwide wished,” Amazon explains in a new press release, and the end result was more than 4.3 million “wish list” items being added every day. if Amazon maintained that pace for an entire year, it’d mean the addition of 1,576,800,000 wish list items in just one year! Of course, Amazon’s gearing up for the big holiday shopping season. Just make sure you don’t add things to your wishlist by accident once you’ve connected it to your Twitter account. 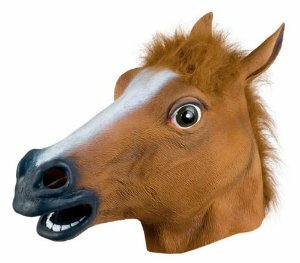 I can imagine someone sharing a ridiculous product’s URL on Twitter, like this giant Horse Head Mask. “#AmazonWishList ,” I might tweet back jokingly. Only to discover that it’s actually been added to my Amazon Wish List! Last year Amazon’s revenue was $74 billion. So it’s fascinating to remember when the company was just 10 people…and a dream. Today I stumbled across a remarkable video on YouTube showing Jeff Bezos — the founder of Amazon — describing its early days, their shared struggles, and the one idea which kept them going. 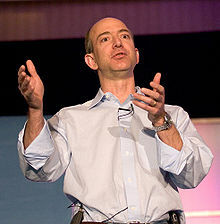 Jeff remembers when his company wasn’t even called Amazon. Its original name was Cadabra, Inc — as in Abracadabra. But he changed his mind when a lawyer mistook its name for “Cadaver, Inc.” He knew he needed something better — because he was risking his career to take a chance on the promise of online shopping. His wife was in the audience that day, and Jeff remembered that “She had married a relatively stable person — goofy, but relatively stable — working at a law firm.” When she’d married him, Jeff had a nice steady job at a Wall Street hedge fund, so “This was a hard decision…” In fact, most of Amazon’s original employees kept their day jobs while they spent their nights filling the orders that would come in to the company. They weren’t betting on any grand vision, Bezos explains. They were betting on their son. And he’d also confessed to them at the time that there was at least a 70% chance that they were going to lose it all. 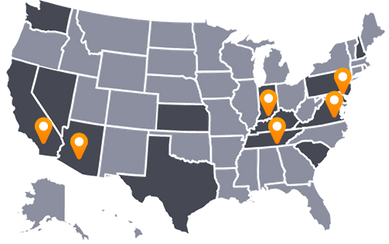 But in the first 30 days, the site got orders from all 50 U.S. states — plus 45 other countries. They couldn’t handle the volume, and expanded quickly — into a 2,000-square-foot basement warehouse. It’s like something from a science fiction story: Amazon’s just announced a web page offering real “3-D printing”. I wasn’t even sure what that meant — but it’s a revolutionary new way to buy things that haven’t even been created yet…and a real glimpse into the future. Here’s a four-sentence summary of the way the process works. We live in a world where technology now makes it possible to print more than just ink on a piece of paper. Technology now can also print out substances, using a computer-controlled machine, following a very precise pattern. The pattern is specified by the user, allowing lots of ways to customize a product before it’s even been built. It’s only when you hit the “print” button that your desired product springs into existence! Print your initials on steel cuff links! Make a dog tag personalized with the name of your own dog! “Customization gives customers the power to remix their world,” explains the co-founder of Mixee Labs, “and we want to change the way people shop online.” But it’s gone from being a theoretical concept to something you can utilize today. 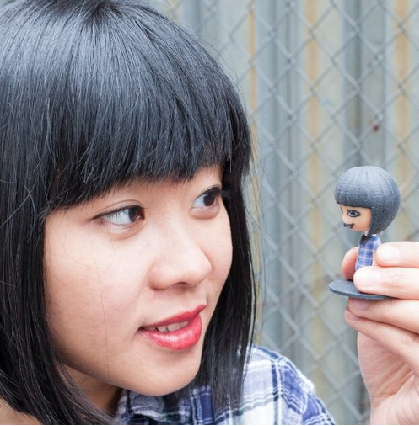 For example, imagine buying a bobblehead that’s been customized so it looks like you! You can choose the bobblehead’s eye color, hair color, and hairstyle, and even add eyeglasses. (Even the spring inside the bobblehead is generated by the printer, and it’s only when the bobblehead is produced.) “Turn yourself, friends, family, and coworkers into bobble heads,” reads the product’s description on Amazon — which suggests it as the ultimate personalized gift. “The age of 3D printing is just beginning and you can experience it first hand!” reads another Amazon web page. 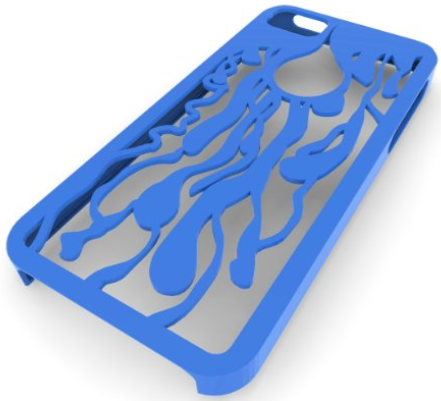 It’s offering an iPhone case with a pattern of plastic that’s described as “rivulets of blood.” Besides red, it’s also available in black, blue, and white… But like any fashion accessory, part of the thrill is the rarity of this accessory. It’s not mass produced; there are only as many in existence as there are customers who ordered them. And you’ll always know that they were built from scratch — automatically! — using a 3-D printer…. Amazon’s 3-D Print Store offers more than 200 products to choose from. But none of them exist — yet — until you actually click the yellow “Add to Cart” button. Then behind the scenes, Amazon and their partners will go to work assembling your chosen substance, molecule by molecule, into the appropriate pattern. It could change everything — the way all products are created and then sold — and it’s just started happening at Amazon. 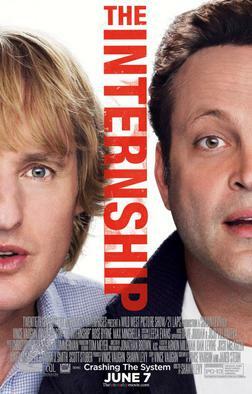 Last year they made a movie about trying to land a job at a high-tech company, just to enjoy all of its amazing perks. But this week Amazon’s CEO revealed some of their own employee benefits, and they’re absolutely mind-boggling. What’s it like working at Amazon? They’ll give you money for taking classes that can help you get a better job somewhere else, and when you finally quit, they’ll give you thousands of dollars more! And to keep employees even more happy, Amazon let’s many of them work from their homes. For example, if you’re calling Amazon’s Kindle support line, they may end up answering your call from their own apartment! “This flexibility is ideal for many employees…” Bezos points out, either because they have young children, or just because they prefer working from home! Just keep that in mind the next time you press the Mayday button on your Kindle Fire HDX — because you may be seeing video of an Amazon support staffer from their very own home! In fact, that led to the strangest stories in Bezos’s letter — about some of those only-on-a-Kindle moments. Imagine being the Amazon employee who answers a customer’s call for help, only to discover that their question is: Will you marry me? This has happened 35 different times, according to Bezos. And another 648 times, Amazon employees have answered a Mayday call, only to discover that the caller wanted to sing them a song! And Bezos points out that — by a very slim margin — customers prefer ordering from Pizza Hut instead of Domino’s. Brad Stone wrote a new book about about Amazon, and it’s already stirred up a controversy. I enjoyed Stone’s radio interview on Marketplace, but apparently Amazon isn’t one of Stone’s fans. “He had every opportunity to thoroughly fact check and bring a more balanced viewpoint to his narrative,” complains Amazon’s Vice President of Global Communications, “but he was very secretive about the book and simply chose not to.” And one of Stone’s detractors turns out to be the wife of Amazon’s CEO! Her review is titled “I wanted to like this book”, and it’s already received 3,154 “helpful” votes from other Amazon customers. er first complaint is there’s inaccuracies in the book which contradict her own her firsthand memories of the Amazon story. And her second complaint is the negative quotes about the tension in executive meetings create a “lopsided and misleading portrait” of the culture at Amazon. So for balance, she presents some warm and positive quotes drawn from a personal collection — “an archive of the thousands of thank you messages written to Jeff over the years”. And Mrs. Bezos also applauded another review of the book posted on Amazon by Jonathan Leblang, who actually went to high school with Amazon’s founder, and has since become the director of the company’s Lab126 in Menlo Park. He awarded the book four stars, calling it “Interesting, but flawed,” saying it was interesting to see how the company where he worked would be seen by an outsider — but that there were mistakes. “[A]s with any book where the subject is not an active participant, the book is slanted toward those episodes where Stone can find someone to talk about them. And of course, he includes that which supports his thesis… Overall, from the parts that I know about, about 80% is correct and 20% isn’t (often in details, but incorrect nonetheless). That, of course, taints my view of the book as a whole, because I have to assume that 20% of the stuff I don’t have personal knowledge of is also incorrect. 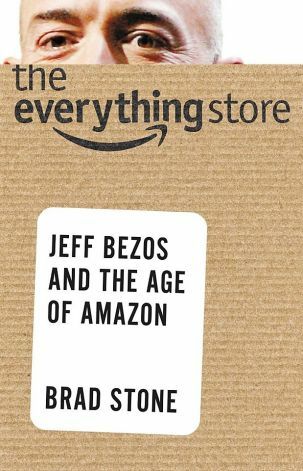 But even with his concerns about accuracy, he still managed to find something positive (and funny) about The Everything Store: Jeff Bezos and the Age of Amazon. A Secret New Kindle from Amazon? He quotes an earlier invitation from Amazon promising that they’re building “a new revolutionary Version 1 product that will allow us to deliver Digital Media to customers in new ways and disrupt the current marketplace.” And the clues are starting to pile up. When Amazon opened this lab in 2011, they announced new hires would be working with Amazon’s “digital products” team — the group responsible for Kindle ebooks, as well as Amazon’s Instant Video (and all the mp3s in their digital music store), plus Amazon’s “cloud” storage service. It started with a question. Why is Amazon producing TV shows? For the past few years they’ve been “greenlighting” new shows, which are only avalable on the web and on Kindle Fire tablets. It’s a weird business model — unless Amazon was already secretly envisioning a much larger audience for the shows they’re creating. So maybe Amazon is releasing a device that plugs right into your TV, letting you stream all the movies and TV shows that are available from Amazon. It could be just like Google Chromecast — except Amazon has a lot more video to distribute. Instead of YouTube videos, you could watch all of the shows in Amazon’s “Instant Video” library — everything from Duck Dynasty and The Daily Show to new movies (along with Amazon’s original programming). Amazon would instantly become “the new NetFlix”, and The Motley Fool is already arguing that Amazon “is in a better position to compete with Netflix for the 49 and up age group, which is where much of the remaining growth of streaming video will occur.” Plus, people wouldn’t even have to sign up for the new service (since most of them would probably have an Amazon account already). And this opens up a fascinating new possibility: TV shopping. Imagine browsing Amazon’s site on your wide-screen, high-definition television set. Amazon’s already encouraging ontent providers to include videos for the products they distribute — which may suggest they’ve been thinking about video shopping. In fact, one Amazon page already points out that the products that see the biggest increase in sales tend to have “innovative or complex features” — and they give the example of several expensive pieces of technology. Customers may be more likely to purchase a product if they’d seen video footage about the way it works, which would mean even bigger sales for Amazon. It seems like they’d have to be intrigued by the prospect of an even better way to sell things to online shoppers, and for customers it’d be an exciting new 21st-century kind of expaerience — watching giant video demos of the products you want to buy. And then completing the purchase with your remote! I love listening to the radio — and last month I heard a wonderful interview about the man who founded Amazon. Brad Stone has just written a new book about the company (after interviewing more than half a dozen senior Amazon executives). And it was really fun to hear him talking about what he’d learned with Kai Ryssdal, the enthusiastic host of Marketplace on public radio. And then he played the sound of Jeff Bezo laughing…! “Wow… Think about that for a minute,” the interviewer responds…. Next, their conversation turns to Amazon Prime — and both the author and the interviewer admit that they’re already subscribers. “It makes it really easy to buy stuff off of Amazon,” the interviewer says. Amazon’s gearing up for the big holiday shopping season — and they’ve just made two surprising new announcements. 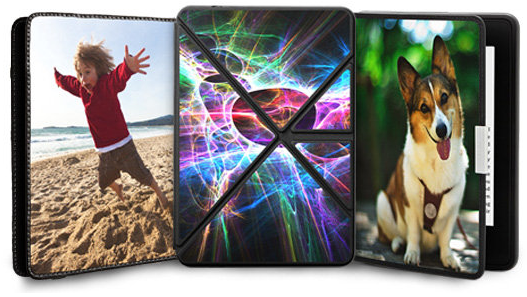 Your Own Photos on Kindle Cases! You can now upload your own favorite photo to Amazon, and they’ll make it into a case for your Kindle! 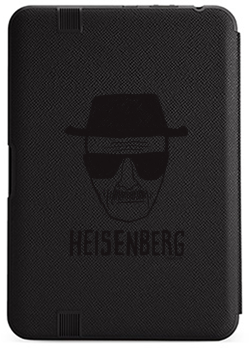 You can also convert the photo into a Kindle skin — a thin, rubber wrap-around protector. And Amazon’s also got their own selection of designs to choose from, including illustrations of Snoopy and the other characters from Peanuts. Amazon’s press release promises they can even put images from Star Trek and other popular TV shows and movies onto your Kindle’s cover — and even characters from Breaking Bad! To make this happen, Amazon’s teamed up with the U.S. Postal service. 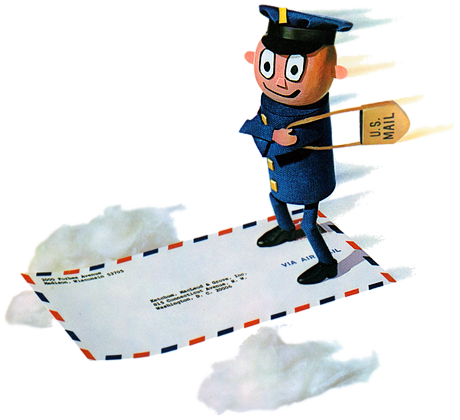 One business site pointed out that the post office could use the money, since traditional paper letters have been declining, now that more people communicate with e-mail. The post office actually beat out Federal Express for the right to deliver Amazon’s package, as well as U.P.S., but in the long run, the real winner may be Amazon. A business analyst at The Motley Fool points out that people who join Amazon’s Prime program ultimately use Amazon for the majority of their online shopping, and end up spending more than twice the amount spent by non-Prime members. In fact, on average prime members spend $1,200 a year on Amazon’s web site. So it’s no wonder Amazon’s willing to try Sunday deliveries as a way to attract even more Prime customers. And The Motley Fool predicts that soon, Amazon may be offering Sunday delivery service to the entire country! Sometimes I’m just a big kid — and I love how Amazon’s created a special page with their “top picks” for new holiday gifts. (For a shortcut, just point your browser to tinyurl.com/AmazonToyList ) And last week Amazon finally announced their 2013 picks — adding that for the first time ever, it’s including toys that were voted on by “Amazon Moms”, a free program that offers discounts to parents on supplies from their children. Amazon’s goal, of course, is to create what they’re calling “a one-stop destination for holiday shoppers.” But it’s still fun to browse through their selections…and window shop for all the fun toys! Amazon’s also selling a speaker that you can plug in to your Kindle Fire that’s shaped like Minnie Mouse! It’s got a standard speaker jack, so it works with any audio source, and its web page on Amazon promises a “size-defying sound”. There’s also one shaped like Iron Man from the Avengers — or Captain America, and even Spongebob Squarepants. And I thought it was cool that now you can even buy your daughter a pink journal that’s protected by digital technology. It only opens when its owner speaks a password into a microphone — and the journal even uses voice-recognition technology to make sure that the password was spoken by the right person! 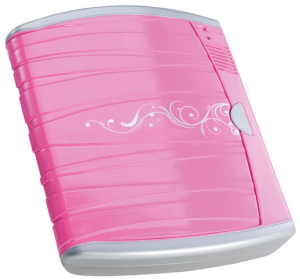 It’s manufactured by Mattel, and the Password Journal also comes with an “invisible ink pen” — so girls can write messages which can only be seen when they’re light up with the journal’s built-in ultraviolet light. And behind the journal (built into its pink plastic case), there’s a hidden “secret compartment” which has its own second password. Girls can even record a greeting, which is played back every time they open it up! But the most exciting thing about Amazon’s “Holiday Toy List” is the fact that they’ve incorporated one of my all-time favorite Amazon features — the “Lightning Deals”. Every day for a few hours, they sell a small quantity of a specific item at a big discount. Amazon tracks exactly how many seconds are left for the offer, and what percentage of the item has already been sold! (Right now they’re offering a 40% discount on Lego Star Wars: The Yoda Chronicles — a hardcover book giving you all the backstory on your that little Yoda “minifig” from Lego — and with 20 minutes and 43 seconds left to go, they’ve already sold off 47% of them.) Like I said, sometimes I’m just a big kid — especially when it comes to cool, cutting-edge toys. And now Amazon’s collected them all together into one place — and started selling them at a discount! More Funny Fake Reviews – on a $4.5 Million Painting! We’ve had a lot of fun laughing at the funny fake reviews people have posted on Amazon. And I was really impressed when Amazon joined in the fun last month, posting their own list of their favorite funny customer reviews. But this month, it’s taken an even stranger turn. Because customers are now leaving fake reviews on works of fine art, which are being sold on Amazon for millions of dollars! “Is shipping extra?” joked one review. “Not expensive enough,” joked another — one of many reviewers pretending to be the kind of people who could actually afford to purchase a $4.5 million painting. “I was debating between this and a Minnie Mouse poster for my daughter’s room,” joked another reviewer located in San Jose.”Bought this one and put it up. The $4.5 million painting is by Norman Rockwell, and Amazon describes it as a recently discovered oil-on-canvas — part of a series of paintings about a young U.S. soldier named Willie Gillis. (“According to the Wall Street Journal, it ‘hung in the headquarters of an undisclosed local company since 1968, when heirs of the painting’s original owner gave it to the corporation during a merger’…”) The Journal notes that it’s rare when a new painting by the artist actually becomes available for purchase. But it’s probably even more rare for them to be sold through Amazon.com. “After years of living with this ugly crack in my basement wall I finally found the right size painting to cover it!” joked another fake review of the $4.5-million painting. (It was voted “Helpful” by 17 out of 27 reviewers…) And it’s not the only expensive painting which is drawing some sarcastic comments about its price tag, since Amazon’s also selling an original painting by Andy Warhol for $1.45 million. “Pick up two or three if you can get your hands on them,” suggested one reviewer. And another reviewer even told a longer story about “improving” the painting with a bottle of Lysol. Amazon entered the art marketplace just last month, announcing that “We’re thrilled to bring the excitement and emotional connection of art to our customers…” They’ve lined up more than 40,000 works of fine art from over 150 galleries and dealers, and more than 4,500 artists, according to Amazon’s press release. (“We are excited to bring one of the largest selections of fine art direct from galleries to our customers…”) Though it still makes me laugh when paintings with a multi-million dollar price tag are listed with the same buttons as other Amazon products — like “Add to Wish List” and “Add to Cart”. Most of the paintings are actually listed for less than $10,000, so it’s not just millionaires who could consider a purchase. And to be fair, at least one of the galleries — Paddle8 Editions — actually sells their artworks solely to raise money for non-profits and cultural institutions, and they’re actually pretty excited about the opportunity to reach even more customers. But it’s hard to overlook the oddity of selling fine art on the same web site that sells rubber horse masks and educational uranium samples — and to let random shoppers leave behind their reviews. When they first launched their fine art page, Amazon was even offering a chance to purchase a Claude Monet painting — L’Enfant a la tasse — for $1.45 million. 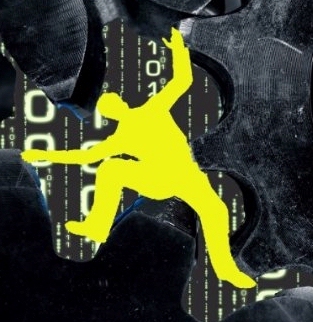 This offer was described at unusualPromotion.com, and a press release claims it “marks the beginning of a turning point in the Book 2.0 evolution.” But there’s at least three other Amazon employees who have also done some extra thinking about books and ebooks – and the ways that we’ll find them! This book just came out in April, and it was written by Jason Merkoski, who was actually the program manager for the Kindle on the day that it launched. I thought it was fascinating memoir with some interesting insights into the future of reading. But more importantly, the author came up with some clever new ebook tricks to help make his book more appealing to Kindle owners. On Twitter and Facebook, Merkoski revealed part of “the brave new world of what I call ‘Reading 2.0′”. 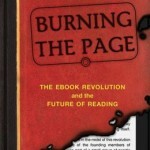 At the end of the first chapter of “Burning the Page”, he’d included a link to a social app offering his readers a way of connecting to not only the author, but to other readers — plus “surprises all along the way.” He promised it would be a combination of a virtual book club, offering a chance to interact with the book’s author as he became “a thoughtful friend who brings you special notes and treats.” Each chapter ended with a new link, and when readers clicked on it, there was always another new surprise waiting. Once it was a link to an unannounced bonus chapter, and another time it was a personalized digital autograph. And Merkoski promised that when you finished reading his book, you’d receive a personalized message from the author himself. 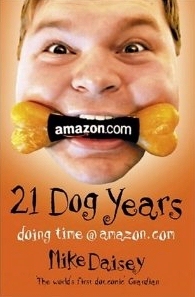 “Behind Amazon’s quirky smile logo lurks a cold and calculating giant machine,” claims the book’s description, promising an e-book filled with poetry that “makes us feel the vitality of the Hi-Tech worlds of California and Seattle.” The first section of “Inside the Giant Machine” is an e-mail the author had sent in 2002 to his friends, describing a late-night success at his own startup company. That company’s success leads to a merger, after which “we ended up with two VPs of Technology — which was one too many,” and soon he’s also looking for a new job in Seattle. This is the book that was “developed” from blog posts, though at times it feels like it might’ve been inspired (if not modeled) after some of the earlier books by Amazon employees. It’s a short book — when I first bought it in 2011, the print edition was just 128 pages, and at times it felt a little bit skimpy. (The last 10% was just “back matter” — copyrights, “works cited,” a selection of “acclaim” for the book, and a list of the author’s other books (including an excerpt). There was also a “color interior” paperback edition with “approximately 80 color photographs, including several panoramic shots of Seattle!” I notice that the new version on sale today comes in at 220 pages. But at least one reviewer at Amazon.com noticed the same thing that I did: that the book itself has a higher-than-usual number of typos. (Example?” Amazon’s young, sharp minds still want you prove to yourself to them.”) I was intrigued by the chapter titles (like “The hacker who loved me” and “things start to fall apart”), and some of his photographs (like the Seattle skyline) look very attractive on the Kindle’s black and white screen. 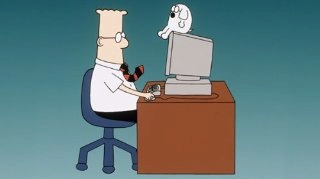 But sometimes it felt like the author just re-published some of his old e-mails to friends. I asked myself if I should ultimately see that as a bug or a feature. You could argue that it makes the book feel more like one man’s personal story — and it’s genuinely fun to read the moment when the former Amazon employee has a revelation, that “suddenly publishing a book was easily within my reach. What’s the Best-Selling Kindle eBook of 2013? Amazon’s created a special web page reporting their best-selling Kindle ebooks of 2013 (so far). But what’s fascinating is how different that list is from Amazon’s other list of this year’s best-selling printed books. In fact, only two of the top 10 best-selling print books also appear on Amazon’s list of the best-selling Kindle ebooks. Meanwhile, there’s more surprises on Amazon’s list of the best-selling printed book this year. It’s StrengthsFinder 2.0 by Tom Rath — a non-fiction book that helps readers assess their personal talents and weaknesses. In fact, five non-fiction titles made the top 10 on Amazon’s list of the best-selling printed books of the year. How many non-fiction titles made Amazon’s list of the 10 best-selling Kindle ebooks of 2013? So the two books that both lists had in common were both works of fiction — Inferno: A Novel by Dan Brown (the author of The Da Vinci Code) and The Great Gatsby by F. Scott Fitzgerald. But of course, Dan Brown’s books have always been phenomenally popular — and The Great Gatsby was released this year as a major movie picture. 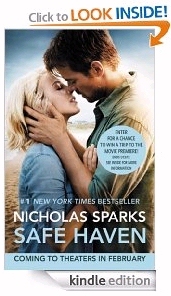 But then again, Safe Haven was also released as major motion picture in February, and became the #1 best-selling Kindle ebook of the year — while not even making it into the top 100 on Amazon’s list of the best-selling printed books! One of 2013’s best-selling ebooks came from a self-published author living in rural East Texas — a 33-year-old social worker who published her first novel just 18 months ago. Thanks to the power of viral marketing — and Amazon’s Kindle Store — Colleen Hoover was able to find an appreciative audience online, and her books are now also available in print. But the print world is still struggling to catch up, apparently, since none of the print editions of Colleen’s novels have even made it into the top 100 of Amazon’s best-selling print books of 2013. Of course, two of the 10 print best-sellers aren’t available as Kindle ebooks. Maybe the lesson there is that some books just work better in print — like books with lavish illustrations and a complicated layout. But it’s interesting to note that all of the top 10 best-selling Kindle ebooks are also available in print editions. Is it possible that publishers now consider the ebook market to be the most important one? I’ve read some books by former Amazon employees, but this one is special. It’s written by one of the founding members of Amazon’s Kindle team, who “wanted to change the world,” according to the book’s first chapter — “and we did!” In fact, Jason Merkoski was actually the program manager for the Kindle on the day that it launched. 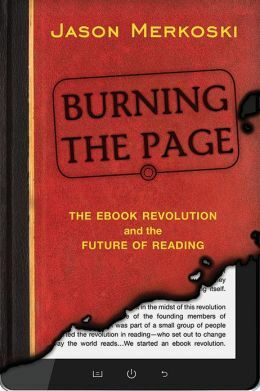 This week he’s released a fascinating memoir titled “Burning the Page” with some interesting insights into the future of reading. And to celebrate the launch of his book, Jason’s also demonstrating some brand new ways to blur the boundaries between ebooks and the internet! Merkoski’s describing his book as recollections of “the time I spent working on the front lines of the ebook revolution.” (On his first day on the job, he’d been treated to “an overhead projection of Jeff Bezos’s head welcoming me to work, telling me to have fun and make history.”) When he later ends up waiting for a meeting in Bezos’s office, Merkoski gazes out the window, and tries to imagine the way Amazon’s founder sees the world. (“He had a telescope in his office and pictures of his kids on the wall…”) At one point Merkoski even calls his book “the true story of the ebook revolution”, and there’s some fun details about life inside Amazon. But he really digs into the meaning of reading. Merkoski writes at one point that “by crossing the chasms of culture and language [through ebooks], humanity itself becomes connected.” Later he even says boldly that “I think there’s really just one book, the book of all human culture,” and then he describes his own vision of a Facebook for Books, “where all books can interact and link to one another. But it’s not just talk, and over the last three days he’s actually put his ideas into action. On Twitter and Facebook, Merkoski has already revealed some new experimental tricks that his ebook can perform online — part of “the brave new world of what I call ‘Reading 2.0′”. Friday afternoon Merkoski had a big announcement on Twitter. “Amazon dropped the price on my book – get it now for your weekend reading if you’re interested…” In fact, they’ve lowered the price to just $7.69 (a 23% discount). But it was later that I discovered that Merkoski has also found a unique new way to connect Twitter to his book. 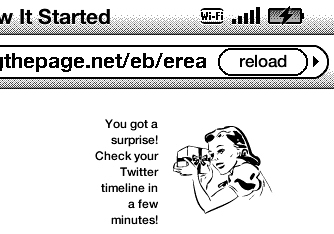 At the end of the first chapter of “Burning the Page”, Merkoski included a link to a social app offering his readers a way of connecting to other readers and the author, plus “surprises all along the way.” He promises it’s a combination of a virtual book club, a chance to interact with the book’s author, and “a thoughtful friend who brings you special notes and treats.” Each chapter ends with a new link, and when readers click on it, there’s another new surprise. It could be a link to unannounced bonus chapters, a personalized autograph, or even “unexpected objects falling out from between the ‘pages’ of the book…” And Merkoski promises that when you finish reading his book, you’ll receive a personalized message from the author himself. When you click a link in the ebook, it takes you to your Kindle’s web browser, displaying a message about what your next surprise will be! The book has some fun passages that make the story of the Kindle seem even more colorful. Later in the book he imagines the workshop where Gutenberg published the first book in 1453 as being a lot like the newspaper printing plant where his own father worked. And soon he’s wondering if Amazon’s Kindle project in the 21st century was also its own high-tech version of Gutenberg’s workshop, “an alternate, over-caffeinated, sugar-high universe.” But I think he sums up the whole experience nicely in one wonderful sentence. America’s Parent Teacher Association includes millions of parents and teachers — but this year, they’re letting Amazon’s Kindle be the exclusive partner of a new program. To improve the reading skills of grade school students, the program will teach parents some fun ways to get involved in their children’s reading — and for the rest of the year, the program will officially be called The PTA Family Reading Experience, Powered by Kindle. “Parents love to see their children inspired to read more, especially with a device like Kindle that’s focused solely on reading. I admit I enjoyed browsing the selection, to see if there were any books I recognized from my childhood. Amazon’s highlighting their ebook versions of “PTA Family Favorites”, separated into ebooks for different reading levels, with The Magic Treehouse series recommended for first and second graders (along with the Junie B. series and Alexander and the Terrible, Horrible, No Good, Very Bad Day)). For third and fourth graders, the page recommends the Diary of a Wimpy Kid series, along with Beverly Cleary’s books about Ramona. Their selection for fourth and fifth graders includes C. S. Lewis’s Narnia series, and their older-reader selections include The Lightning Thief, The Hobbit and Suzanne Collins’ Hunger Games trilogy. to read some very good books. Will Amazon Expand Same-Day Deliveries? There’s a fascinating article on the technology news site Wired.com. America’s postal service will stop delivering mail on Saturdays starting in August. (Except for packages and mail delivered to a postal box.) It’s a move to save money, but Wired‘s reporter sees hints of an even more interesting scenario. Amazon could start renting post office mail carriers to offer same-day deliveries for Amazon’s packages! The post office has noticed that package deliveries are actually increasing at a rate of more than 10%, according to the article. (Maybe because people are ordering more things online?) And it also notes that Walmart — a major competitor to Amazon — is already offering same-day deliveries. Meanwhile, Amazon has been building more and more distribution centers in more and more states. Are we looking at the beginning of a war, to see which retailer can deliver packages the fastest? But Wired asks a more interesting question: who’s going to be doing the delivering? FedEx and the other delivery services seem to insist on an intermediate step where all the packages are first collected together at their own distribution centers before being re-routed back out for deliveries. “To make same-day work, the orders must travel straight from the distribution centers to customers,” Wired notes — adding that post office seems to have a lot of carriers now with fewer and fewer letters to deliver. To get a definitive answer, Wired even called a spokesperson for the U.S. Postal service, who seemed enthusiastic when he agreed that “We already have the existing infrastructure in place. That’s what sets us apart.” He wouldn’t speculate about whether the post office was going to end up offering same-day delivery services for Amazon’s packages, but he did hedge that traditional mail carriers can offer an attractive choice for companies who are exploring the same option. And to that possibility, he had one more hopeful thing to say. I always enjoy hunting for nuggets of information when Amazon makes their big announcements to stockholders. 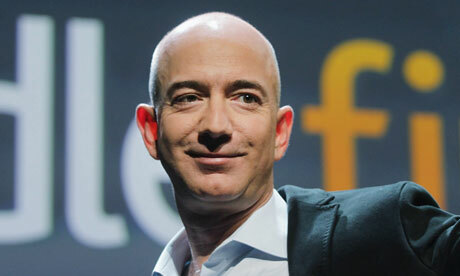 Today Amazon’s CEO, Jeff Bezos, revealed something new to think about. Amazon did sell more printed books this December than they had the year. But it was the smallest increase ever in the 17-year history of Amazon — a rise of just 5%. Amazon also shared some other interesting bits of trivia about the Kindle. For example, since it was introduced in September, the Kindle Fire HD has continuously remained Amazon’s #1 best-selling, most gifted, and most wished for product “across the millions of items available on Amazon worldwide.” And by the end of the year, Amazon’s worldwide best-seller charts showed that the top four spots had all been claimed by Amazon’s digital readers and tablets — the Kindle Fire HD, the Kindle Fire, the Kindle Paperwhite and the Kindle. Amazon has always insisted they’re willing to lose a lot of money over the short term, as part of a grand master strategy of growing their customer base over the long-term. So they probably want investors to focus on this number: in just the last three months of 2012, Amazon’s sales totalled $21.27 billion. That’s up more than 22% from the same period a year ago — an increase of $3.84 billon. And Amazon’s sales figure would’ve been even higherif it hadn’t been for fluctuations in the world currency market, which cost Amazon another $178 million. I don’t know how Wall Street is going to react to Amazon’s numbers, but I’m impressed. For the last three months of 2012, they averaged over $236 million in sales every single day. And as Kindle owners, we’re all part of that number – and a big piece off Amazon’s long-term strategy. 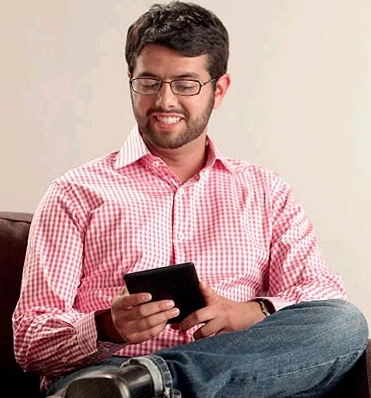 The Kindle makes it even easier to buy things from Amazon — even when you’re lying on your couch! “Hi Sneha,” I typed, not sure how friendly I was supposed to be. “Sure. Go ahead.” And he began researching the problem. His first search seemed to come up empty-handed. 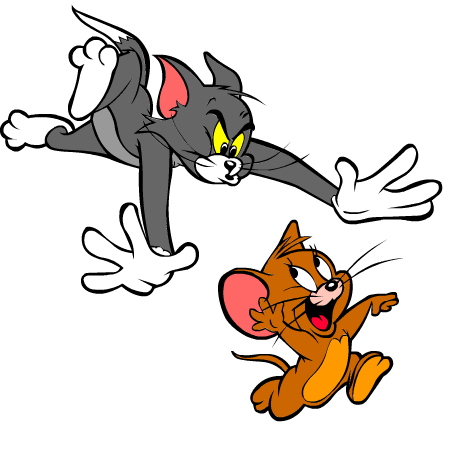 “I do not see the order on your account pertaining to Tom and Jerry,” Sneha typed. “Were you able to place to place the order or you were in the process of doing that?” But then he typed, “Okay. I see the order now. Sorry…” Unfortunately, by then I was already typing away. 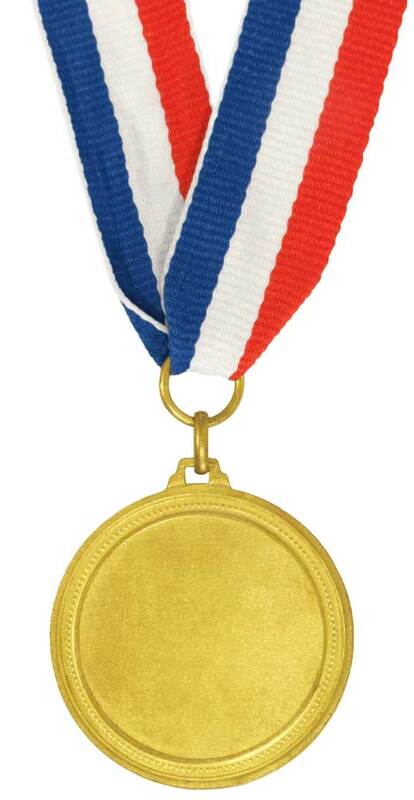 But I really have to hand it to Sneha, because he did solve my problem almost instantly. He told me to log out of the Instant Video page on Amazon, and to basically try turning my Kindle Fire off and on. My girlfriend joked that it was like the catch-all advice that was always offered by the geeks in a British sitcom called The IT Crowd — but in this case, it really worked. The video page on my Kindle Fire now showed one more video in my library: the Tom and Jerry cartoon Puss Gets the Boot. My friend Nate lives in New York City — and he’s really grateful to Amazon. 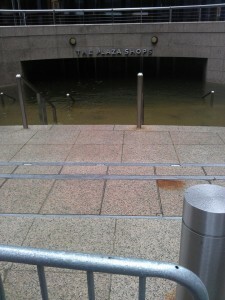 On Friday Nate told a remarkable story about life in the water-damaged city after it was hit by Hurricane Sandy. It was the largest hurricane ever to come out of the Atlantic Ocean, and it had had a huge impact on the millions of people who lived in the big city. New York’s subway system wasn’t providing any service below 34th street “for an undisclosed period of time,” Nate posted on his Facebook page, “and cabs cost about $25 each way to work right now (and sometimes more).” But Nate felt guilty using any gas-powered vehicle, since it was obvious that there was going to be an ongoing shortage of gasoline. The answer turned out to be surprisingly simple: Nate decided to get a bicycle! “I tracked down a decent folding bike for less than it’ll cost in taxis next week alone,” he eventually posted on Facebook. But here’s the funny part. Nate just placed his order on Amazon.com, around 4 p.m. Thursday afternoon. “I’ve got Amazon Prime, so the order shipped for free…” he posted the next morning on Facebook. And his bicycle had already arrived! “In 16 hours,” he posted in amazement. “A BIKE. 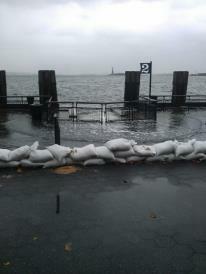 To Post-Sandy NYC. For Free. 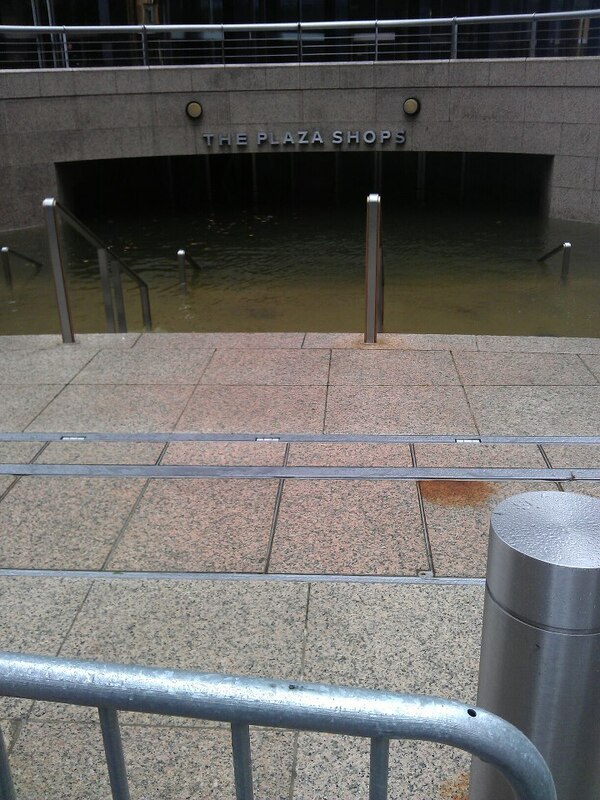 And Amazon was also delivering supplies to other New Yorkers, too. (“Take a guess,” joked The Huffington Post. “Why were two-gallon gas cans one of the most popular items sold on Amazon this week?”) People were also ordering gas-powered generators and even lanterns from Amazon, according to the Post‘s article. Difficult times called for creative solutions, and to get the supplies they needed, at least some people turned to Amazon.com for things they couldn’t find locally. In fact, in a comment on the article, someone reported that my friend Nate wasn’t the only person who was riding a bicycle across the gas-starved city. “There are thousands of them on the streets of New York City right now.” New York’s transportation department estimated that just on Thursday, there were 17,000 more bicyclists crossing the Brooklyn Bridge and the three other biggest bridges in Manhattan, Queensboro, and Williamsburg. Most of the bikes were probably in New York before the flood, but Nate was delighted that he could actually get one shipped in! After the hurricane, people began to look at the world a little differently, and it was nice to hear stories about people reaching out to help others. One fitness center even posted a sign offering free hot showers or an outlet for recharging cellphones to anyone who needed it, Nate posted on Facebook. “I’m trying to figure out how I can order stuff from Amazon to be delivered to the people who need it on Staten Island or the Jersey Shore,” he added later, “because apparently Amazon are the only people who can get things places right now.” It’s nice to see Amazon’s expertise in shipping having a positive impact on people who really need it. One of Nate’s friends even joked, “Maybe the government should commandeer Amazon until the crisis is over.” But Nate wasn’t even sure that was a joke, because he’d been so amazed by the way Amazon performed after the hurricane. “That was kind of my point. I was looking at getting some solar panels or generators shipped out using Amazon Prime. They have them. Amazon Sells Out of Kindle Paperwhite! If you’re trying to buy the new Kindle Paperwhite, there’s a surprising message today on Amazon.com. “Due to popular demand, orders placed today are expected to ship in 4 to 6 weeks.” Apparently one day after its official release, Amazon had already burned through their whole inventory of the new Kindle Paperwhite. Plus, for now, they’re limiting new orders to just two Kinde Paperwhites per customer. So what’s the big deal? I thought the best explanation came in this review from The Huffington Post. 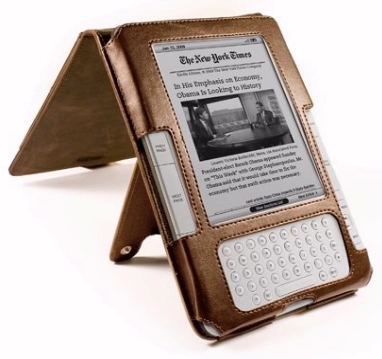 “A luminescent e-reader screen is one of those new technologies, like HDTV or the bidet, that spoils you so badly, and so thoroughly changes your preferences and expectations, you won’t want to go back to a device without it once you’ve tried… ” They do note that Barnes and Noble has already released their own digital reader with a built-in light for the screen — more than five months ago — but then goes on to say that Amazon’s is better, spreading the light much more evenly across the entire screen. Maybe that explains why the Kindle Paperwhite is getting such positive reviews. The Technology and Science Editor at NBC News Digital notes that it’s about more than just built-in lighting. The glowing screen increases the contrast between the black letters on the screen and their background, which is now a glowing white. That’s a big improvement, and he ultimately gave the Kindle Paperwhite one of it most emphatic endorsements. Did Amazon Botch The Release of Their New Kindles? 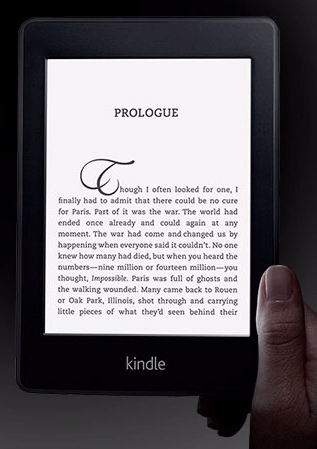 Amazon just announced a brand-new, high-contrast Kindle called the PaperWhite! (You can pre-order the new touchscreen devices — with their new built-in lights — at tinyurl.com/KindlePaperWhite ). I still remember that big day last September when Amazon announced their new Kindle Fire tablets. Besides a press conference, there was a message from Amazon’s CEO on the front page of Amazon.com. (“There are two types of companies,” he wrote, “those that work hard to charge customers more, and those that work hard to charge customers less…We are firmly in the second camp.”) A month later, Amazon revealed that that historic day had been Amazon’s “biggest order day ever” for a newly-released Kindle, “even bigger than previous holiday peak days.” But this morning I was wondering if Amazon was missing their chance to make history again. Because while they were announcing two new Kindles, including a black-and-white reader called the Paperwhite, it wasn’t possible to buy it at Amazon.com. 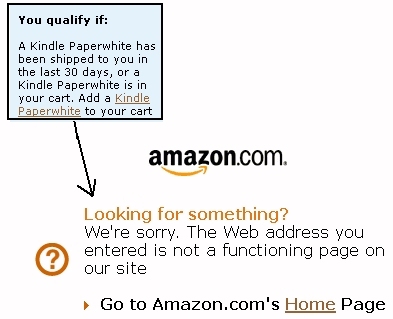 You couldn’t pre-order the Paperwhite, and there were no information pages at Amazon.com, until nearly 4 p.m. EST. Even during Amazon’s big press conference about the new device, if you searched Amazon for the Paperwhite Kindle, it didn’t return any matches. “I have no patience, I can’t wait to order,” added a third customer. Someone even jokingly posted a link instead to Amazon’s web page for some flower seedlings — the paperwhite Narcissus. (“Very Fragrant!”) Ironically, you could already buy a two-year warranty for your new Paperwhite Kindle by Thursday morning. It just wasn’t possible to actually buy the Kindle yet! There were at least half a dozen eager purchasers (who apparently couldn’t find a link on Amazon where they could buy the device all morning). I only saw one negative comment — a complaint that Amazon was only releasing a touchscreen version. It seems like Amazon had a lot of potential buyers for their new Paperwhite Kindle, who could’ve helped Amazon reach a new sales record. But you can’t sell any new Kindles until customers have a web page where they can actually buy them! It’s hard to keep up! While we’re waiting to see if Amazon’s going to announce some new Kindles, they’ve already quietly announced some other very big initiatives. There’s some good news for students, plus an interesting experiment that improves the way packages get delivered. And this week, Amazon even announced an exciting new feature for current Kindles! But there’s an even more interesting experiment, which the Wall Street Journal described as “Amazon’s new secret weapon.” For the last year, Amazon’s been quietly installing metal lockers in 7-11’s and other convenience stores, as well as in drug stores and grocery stores, in four different cities, to test out whether it’s a better way to deliver the packages you’re ordering from Amazon. There’s at least 50 lockers scattered across Seattle, the Washington D.C. area, New York State, and now the San Francisco Bay Area, according to the Journal, which quotes Amazon’s web site as promise that they’re “adding new Amazon Locker locations every week.” Leaving packages on a customer’s doorstep has always been a little risky — and these lockers make it possible for Amazon’s customers to pick up their packages from a safe location, whenever they’re ready for it. There’s just one problem. If this catches on, Amazon’s going to have to change their ad campaign where that woman comes home from work, and finds a Kindle Fire waiting for her on her doorstep! The Kindle Fire tablet is still Amazon’s #1 bestselling product. In fact, it’s been their #1 bestseller ever since Amazon launched it in November. But there’s something even more interesting. The top ten best-selling items at Amazon were all ebooks, Kindles, and other digital products. There’s now not a single printed book among Amazon’s top 10 best-selling items! So Amazon’s not just an ebook seller . They’re also now becoming a major ebook publisher. And there’s hints that Amazon may now be earning a lot more money because of the Kindle. I couldn’t find a breakdown between Kindle and non-Kindle sales — but Amazon’s overall sales are now showing a very dramatic increases. much faster in the United States. And that’s also the country where the Kindle has had the most time to find an audience, since it’s been available in the U.S. for a full five years. Sometimes I wonder if the Kindle actually increases “customer loyalty” to Amazon — so that Kindle owners are more likely to use Amazon’s web site when they’re shopping for other products. Whatever the case, Amazon’s expecting their higher sales will continue over the nextthree months of 2012, predicting they’ll see an increase of at least 19% over last year’s sales, and maybe even an increase as high as 31%! And Amazon’s been lining up even more ways to attract you to Amazon products. You can watch over 18,000 movies and TV shows for free now on your Kindle Fire — or online — if you’re subscribed to Amazon’s Prime shipping program. (The Amazon Prime program offers free two-day deliveries for one yearly fee, or overnight delivery for $3.99.) Amazon announced during their quarterly report that there’s now 15 million different items available for Amazon’s Prime shipping program. And those 18,000 movies and TV shows are all also now available on the Xbox 360 console and the PlayStation 3, and even on compatible Blu-Ray players and “smart TVs”. The most interesting statistic of all is the fact that Amazon’s net income actually dropped during those three months — by 96%! One year ago, they’d racked up $191 million for the same period, but this year they only had $7 million after expenses. About a third of that different went to cover Amazon’s acquisition of a company that uses robots to create automated warehouse systems for filling orders — but what’s Amazon doing with the rest of their profits? Maybe they’re just spending that money on building the next generation of Kindles…!